Drawing Near - A Pastoral Perspective on Biblical, Theological, & Cultural Issues | The Personal Website of James B. Law, Ph.D.Drawing Near | A Pastoral Perspective on Biblical, Theological, & Cultural Issues | The Personal Website of James B. Law, Ph.D. Through the years I have really enjoyed reading books together with my fellow Elders and Pastoral Staff at FBCG. We try to do this together twice a year with an extended staff meeting which includes a detailed discussion of the book followed by lunch. These times have brought about good connections and conversations for life and ministry. 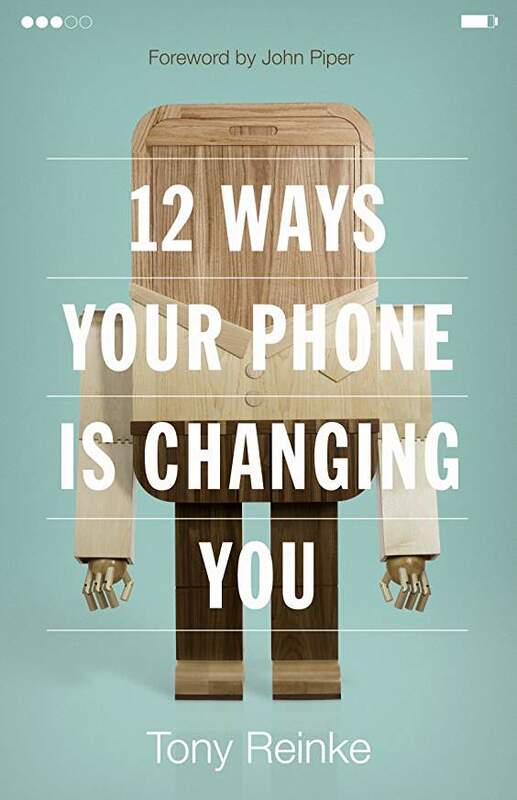 Recently, we read together, 12 Ways Your Phone is Changing You (Crossway, 2017) by Tony Reinke, and I was really challenged by the message of this book and want to share some insights in the next few posts. Reinke provides a theological and practical analyses of what the editors of Time magazine have called the most influential gadget in human history, the smartphone. For this blog series, I would like to share some “take-aways” from Reinke’s efforts that may be helpful in how you relate to your smartphone. 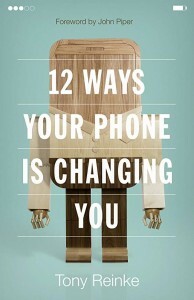 #1- This is not a Pharisaical treatment of smartphone ownership. Reinke does not imply with legalistic snobbery that if you were spiritual you wouldn’t even own a smartphone. He argues persuasively that technology is no cosmic accident as the Creator sovereignly guides history. Reinke asks deeper questions that go to the heart of how we use our devices. For instance, he poses the question, “Should I ditch my smartphone?” followed by twelve thoughtful questions that lead to considerations like cost, necessity of certain phone features, unhealthy fixation on the phone, and effects on family time and relationships. John Piper who wrote the forward of the book identifies the key for the Christian in any generation, “If you live long enough, pray earnestly, and keep your focus on the imperishable Word of God, you can be spared the slavery to newness.” Reinke points believers to the need for “new life disciplines birthed from a new set of life priorities and empowered by our new life freedom in Jesus Christ.” I appreciated this approach to decision-making in the Christian life which I believe is helpful with many other applications on what I should do and not do, go or not go, own or not own. #2- Reinke brings helpful research revealing how invasive smartphone use has become.I know we probably do not need research to confirm what is self-evident by causal cultural observance. We are a culture consumed by cellphone usage. Reinke notes that we check our smartphones about 81,500 times each year, which works out to about every 4.3 minutes of our waking lives, which means you will be tempted to check your phone at least once before finishing this blog post. “Our spiritual condition today is one of spiritual ADD.” Reinke argues that this unchecked distraction is not harmless as it blinds the soul from God; closes off communion with God; and mutes urgency of God in our lives. Therefore, believers need to learn to be efficient in distraction management for the sake of the spiritual health. #3- Texting and driving is not loving your neighbor as Scripture commands. With great insight, he makes the case for how fixation on our cellphones creates neglect of flesh and blood. With regard to phone use and driving, he points out, “Talking on the phone while driving a vehicle makes you four times more likely to get into an accident, but texting while driving makes your chance of a crash twenty-three times more likely. Assuming a driver never looks up in the average time it takes to send a text (4.6 seconds), at fifty-five miles per hour, he drives blindly the length of a football field.”Wow and ouch! Hope this was a helpful challenge that would urge you to read the book. More to come in the coming weeks. Running the race with you, Hebrews 12:1-3. When our church celebrated our 100thyear anniversary, I discovered that we were constituted around the same time as Harley Davidson, United Parcel Service (UPS), Blue Bell, Walgreens, and Kelloggs. In thinking about our local congregation compared to these corporate giants, I was taken by the contrast in purpose. 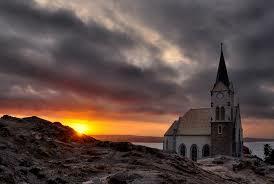 However, this is not the view many possess of the church. A local church is often portrayed as a lethargic, pathetic gathering which is relegated in the minds of many to be a place where you might get married or buried. It’s a place for old people to gather, and they do so out of a duty-bound allegiance to keep the club going. From this perspective, thoughts of church life exploding your soul or changing your life are slim indeed. Reading the New Testament offers a much different view. I would contend that the church is the only institution called into existence to deal with the ultimate issues: life and death, forgiveness, reconciliation, heaven and hell, relationships, purpose in living, and true community. One of the recurring themes of the Bible is that no matter how great the trial, the shame, or the pain, God is greater still. He delights to guide those who seek Him through any storm, sorrow, or setback. In the context of fleeing from his son Absalom, King David wrote, “But you, O Lord, are a shield about me, my glory, and the lifter of my head.” (Psalm 3:3) David was experiencing great pain and humiliation over the downturn of his family and kingdom, but this tattered man found comfort in the Lord. David, perhaps more than any biblical writer, allows us to see into his heart through the experiences of his life and his record of worship found in the Psalms. In this brief post, I want to focus on the spiritual discipline of prayer and fasting. 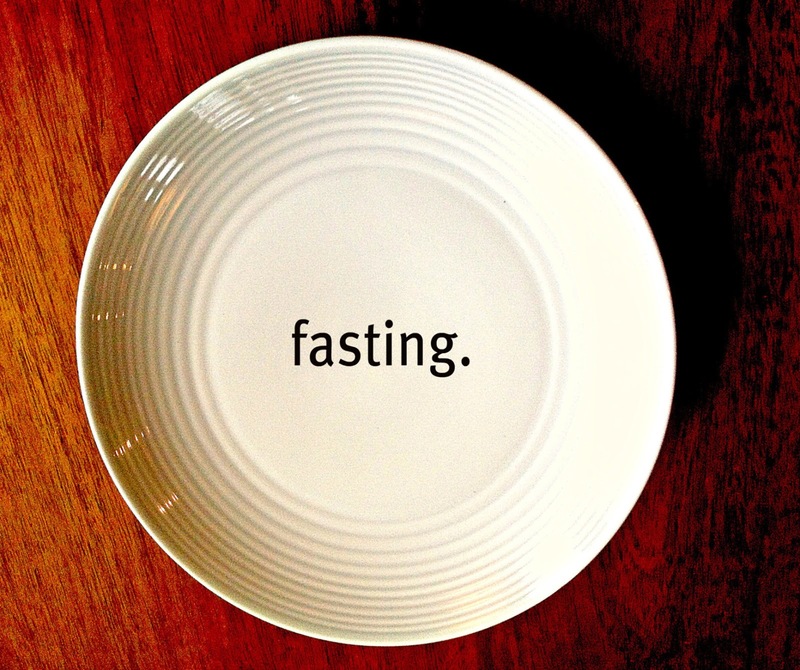 Early in my ministry, I received teaching from several sources in this area, and consequently have embraced fasting in my life and ministry. I have fasted every Wednesday for some years now, and have set aside specific time on these days to seek the Lord in prayer for personal revival, spiritual needs in my church family, awakening in my community, and the cause of Christ globally. 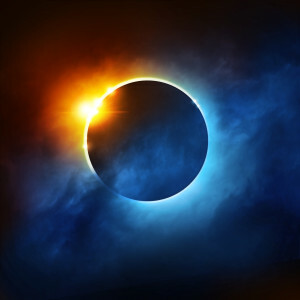 One of the great truths of the Bible is that God is light and in Him is no darkness at all. With the birth of the Lord Jesus Christ, the Magi followed the light of the star that placed them with GPS precision at the location of the infant Jesus. These wise men had been compelled to leave their distant land in pursuit of the new born king. This star was created by God for the purpose of leading the Wise Men to the baby Jesus, and so being led by the star the Wise Men made a long and difficult journey over treacherous terrain. They were in danger of robbers and at the mercy of the elements. When we think about their experience, there is something refreshing about the intensity of their pursuit when compared to many who can’t seem to go a few blocks to worship Christ. They were led by the star to the Light of the world. Some years ago media mogul Ted Turner suggested that we ditch the Ten Commandments and hold a contest on who could come up with a better set of guidelines. To put forward the idea of replacing God’s standard of righteousness, and the foundation of jurisprudence, with pithy progressive ideas is the epitome of what C.S. Lewis called “chronological snobbery.” Lewis was referring to the danger of saying that things are better because they are new, and deficient because they are dated. When Moses received the Ten Commandments on top of the mountain, Israel was below breaking covenant with the golden calf. Upon seeing this Moses shattered the stone tablets. (Exodus 32:19) However, God’s grace is on display when He commands Moses to cut two new tablets, and again He would write these wonderful words of life for His wayward people. Rembrandt van Rijn was a brilliant painter who, among other subjects in his career, captured biblical scenes with magnificent clarity. 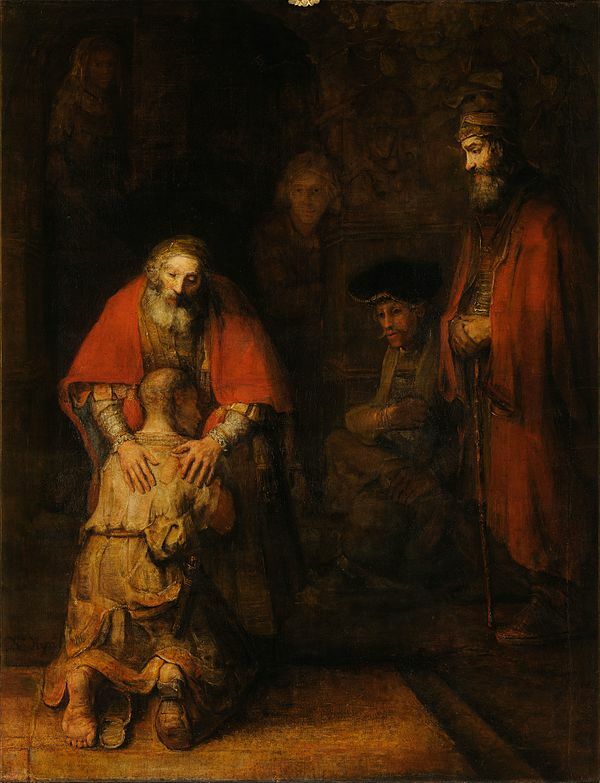 His painting, “The Return of the Prodigal Son,” portrays the return of the wayward son to his father based upon Jesus’s parable in Luke 15. The painting captures that life had been hard for this young man, as Rembrandt presents him with a missing shoe, and with the remaining shoe in tatters. His clothes and hair are disheveled, and his body emaciated and spent. It had been a mad race leaving him empty, exhausted, and ashamed. We know from Luke 15 that this son had demanded his inheritance from his father, and in so doing was communicating that he wished his father was dead. The father yielded to the request, and subsequently this brazen rebel squandered it all on wasteful living. The parable fast forwards us to this son who had spent all his money and was now starving in a pig pen far from home. The turning point in this rebel’s life is found in Luke 15:17 where the text says in an economy of words, “he came to his senses.” As he reflected on the good nature of his father, he acknowledged to himself that his behavior was indeed crazy. This is a very helpful commentary on sin and rebellion. In short, it is insanity. The narrative of the Bible underscores that rebels never live “happily-ever-after” if they carry on in their rebellion. From the earliest pages of the Scripture, the Lord God of heaven expresses hatred toward rebellion and pledges to judge it. We also learn that this God who abhors sin is also a Father who forgives and restores those who come to Him with their brokenness and failure. God is the ultimate rebel lover, but we must come on His terms.